What are Specific Landscape Designs in Idaho Falls? Idaho Falls landscape design can be extremely difficult, not only in the design but in the back breaking labor that is often associated with landscaping. It is almost always easier to hire an expert that has created and installed many landscape designs, like New Leaf Maintenance. With spring approaching soon, it is time to start thinking of some ways to add value to your home. Some landscaping changes is always an excellent way to add beauty and value to a home. However, what does it mean to have landscaping on your property. This can truly mean many different things. Seeding and laying sod-Either way will produce a wonderful, full lawn to enjoy. Sod will produce immediate results, while seeding is a wonderful option that takes a little longer. 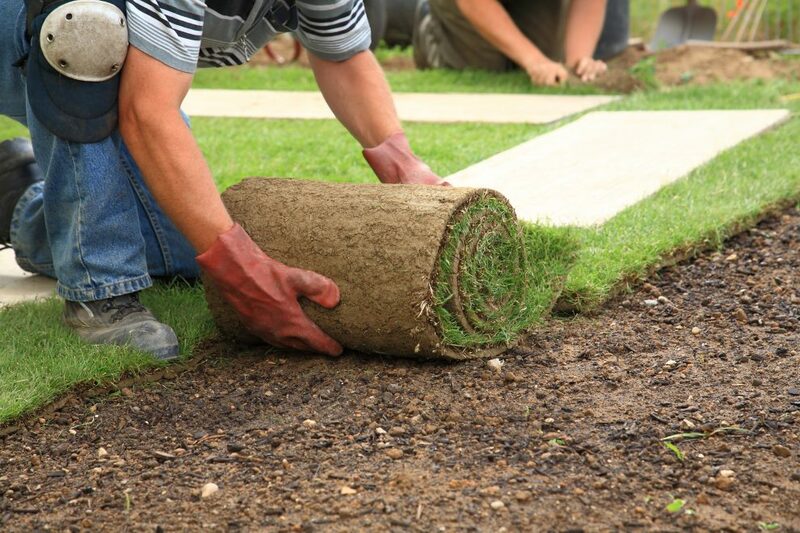 Putting in the grass is usually the start to a wonderful landscaping design. 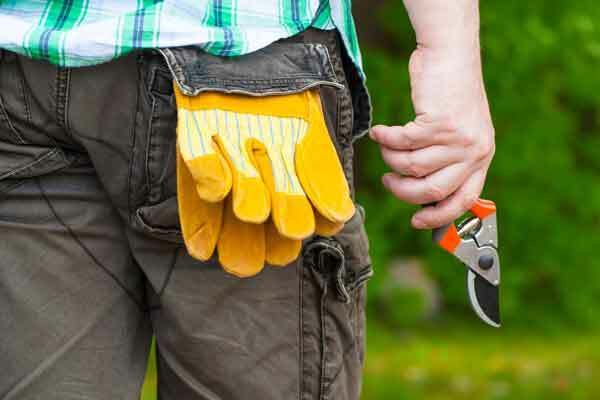 Tree and shrub pruning-It can be enjoyable for you as a homeowner to prune your own trees and shrubs, but sometimes it is a great idea to have an expert help you. There are certain ways trees and shrubs should be cut to promote growth and health. This is especially true if you have fruit trees. Landscape Design-Trained individuals will create designs that you can choose from. These designs are usually created using special software that will create the best landscaping designs possible. Landscape remodel-Sometimes weather and time will take a toll on your landscaping. Experts can bring new life to old landscaping designs and bring additional value to your property. Weeds may overrun, rocks may crack, and ponds may dry up, with the help of landscapers these problems can all be solved. Night lighting-Adding night lighting can bring beauty to your property. Night lights enhances the overall quality of your landscaping and can bring it to life at nights. Not only does it add beauty, but it is practical. It will help guest see where they can drive and walk. Stone and Rock Wall-Walls can add beauty to your property. They can also add protection from intruders. They act as a deterrent to those who would want to trespass. Rarely do you look at a house that has a stone or rock wall and not think of how much it adds to the house. Walkways-Whether with pavers, stamped, or poured, it will add value to your landscape design Idaho Falls. Your walkway may be falling apart or maybe you just moved into a new home, either way an elegant walkway can be a great start to giving character to your property. Stairs-These can be rebuilt or maybe you want a few steps that are gradual on the entryway. It can be a lot of work to build or even replace steps. New Leaf Maintenance has the equipment to make this an easy job. Paved Surfaces-Maybe you are tired of driving on dirt or gravel. The addition of a paved surface can help your car receive less maintenance, make scraping snow easier, and make your property look excellent. Outdoor Fire Pits-Nice weather should be enjoyed sitting around a fire, whether you are just talking or enjoying some food cooked over the fire it is a great way to spend time with family and friends. On the other hand, there is soft landscape. This will typically be your landscape design in Idaho Falls that involves planting trees, shrubs, flowers, and grass. Once the outlines created by curbing, walls, and walkways are in place, the property will be prepared to be filled with the plants and shrubs that will bring beauty to the property. 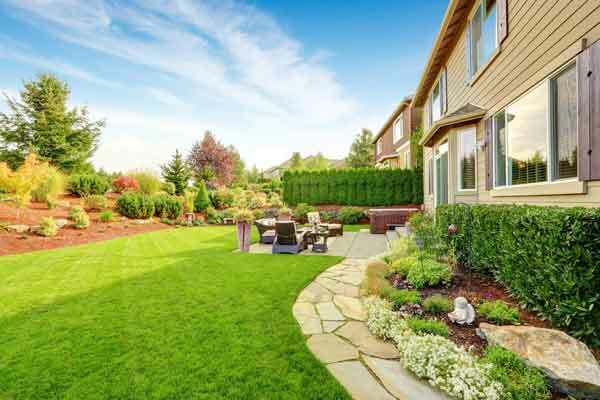 There are numerous options for landscape design Idaho Falls. There are options if you are a new home or business owner seeking to put in landscape. Also, if you have been at a residence for a long time and would like to hit the reset button, then landscaping may be the best thing for you to do. Enhancement projects are an excellent way to change the appearance of your property. New Leaf Maintenance can maintain your existing landscape and provide any new improvements that you desire. Maintaining landscaping is important. Time and weather can destroy any type of landscaping. Continual upkeep is the only way to keep mother nature from destroying your beautiful landscaping. Who creates the landscape designs? Landscape Architect-This individual will have a college degree and registered in the state to perform Idaho Falls landscape design. They will usually have training in engineering and architecture. They will design but usually not be part of the building crew. A landscape architect will create drawings for residential and commercial areas. Usually, they are the most expensive designer to hire due to the fact they have a degree and are registered with the state. Landscape Contractor-Contractors are registered in the state and will have a lot of experience designing and installing landscapes. They may or may not have a college degree. These are the individuals where the rubber meets the road and landscaping becomes a reality. Landscape Designer-They aren’t registered with the state and will likely not have a degree. You would only hire one for Idaho Falls landscape design drawings and that is it. New Leaf Maintenance has the expertise to design and install whatever landscaping design you would like. They can create the drawing and put in the heavy lifting to get your property to the paradiscal state that you want. Call New Leaf now, to get your design started. It is convenient to hire out your landscaping needs. It is physical, demanding labor that is time intensive. Usually it is time that you do not have with the busy lives that you live. Leaving landscaping in the hands of an expert will save you both time and money. It will also save you from the heavy lifting that is always involved in landscaping. How we can create the design you have always wanted? With spring fast approaching, now is the time to start thinking about ways to add value to your house. There are so many things that can be done to your house that can add value. There are enough ways to landscape that there will be something that fits in your budget. Whether you want a pond or just a fire pit, there is something for everyone. Also, if your house is brand new or it is decades old, there is landscaping that can be done. Starting this process early in the spring is important, because the deeper you go into summer the busier the season is. New Leaf will listen to what you want in a landscaping design. If it does not meet your needs, it can be fine tuned so that you get exactly what you want. We are professionals and experts in the landscaping business. We can help you create your own, unique design. It does not matter whether it is hard or soft landscaping we can help you add beauty and value to your property.